Biologic sedimentary rocks form when large numbers of living things die, pile up, and are compressed and cemented to form rock. Accumulated carbon-rich plant material may form coal. 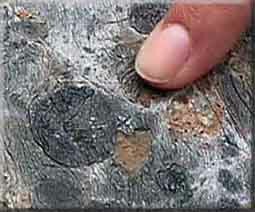 Deposits made mostly of animal shells may form limestone, coquina, or chert. This page was last modified on 1 October 2007, at 15:01.